E.J. Nettles caught this 400.4-pound blue marlin on Day 3 of the 2018 Big Rock Blue Marlin Tournament while fishing aboard the Sullivan's Island, SC-based Rare Breed. 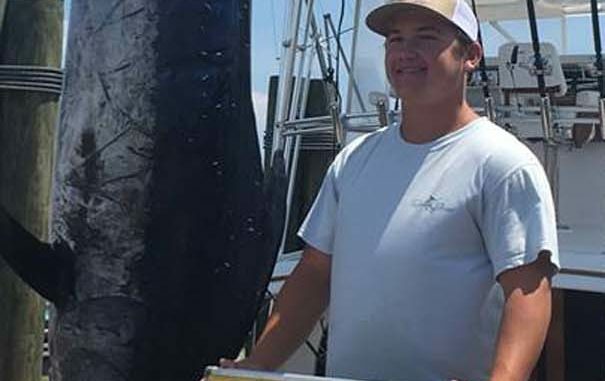 Rare Breed, a boat based in Sullivan’s Island, S.C., marched into third place on Wednesday in the Big Rock Blue Marlin Tournament, with a 400.4-pound blue marlin caught after a 32-minute battle by 16-year-old angler E.J. Nettles of Charleston, S.C.
Rare Breed’s marlin was 108 inches long, and captain Bubba Simmons of Mount Pleasant, S.C., figured the fish woud have no problem weighing above the 400-pound minimum set by tournament rules. He was right — by about seven ounces. Rare Breed’s fish is currently worth $174,3000 if there are no changes to the leaderboard over the final three days of the tournament. 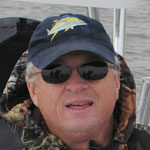 Honey Hush, captained by Chuck Lindner of Morehead City, N.C., leads the tournament with a 518.5-pound marlin reeled in by angler Robert Gorrell. Game Changer, captained by Geoff Rosenberry of Bluffton, S.C., is second with a 409.2-pound marlin reeled in by angler Michael Perry. The bite picked up Wednesday, with 31 blue marlin, one white marlin, three sailfish and one hatchet marlin being caught and released — nearly double the totals from the first two days.